Teacher/Parent consultations take place in October when pupils' work and progress is reviewed and assessed. Other parent consultations are welcomed during the year as required. Parents are also welcome to visit the school if they have a matter they would like to discuss. Of course, if it is an important matter, this will be dealt with immediately. Statutory assessment will apply in Literacy, Numeracy and ICT (P4 & 7). In conjunction with this, assessment is carried out as an integral part of the class teaching and so both formal and informal methods combine to give an overall pupil profile. to create the conditions for an orderly community in which effective learning can take place and in which there is mutual respect between all members. A positive approach of encouragement and praise, rather than one of criticism and punishment, is our policy. Should unacceptable behaviour occur, we will look for reasons and not simply punish. Poor behaviour often stems from personal problems at home or difficulties in school - lack of understanding, lack of progress or boredom. In all disciplinary actions it is essential that the child understands fully that it is his/her behaviour which is unacceptable, not him as a person. We firmly believe, however, that prevention is always better than cure and that good behaviour will result from the pupil's acceptance that this is the norm in our school. The pastoral care policy is seen as part of the whole curriculum and the coordinator is Mrs Smyth. In our effort to create an effective learning environment we recognise that we share with the parents a responsibility to care for the physical and emotional well-being of all pupils. Each class teacher endeavours to look after the pastoral needs in his/her class. In this way the individual needs and problems of each pupil receive attention. As part of our work on Personal Development and Mutual Understanding our children engage in two valuable schemes. 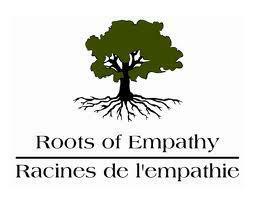 In Primary 4 the children are given the opportunity to take part in the 'Helping Hands' programme and in Primary 5 the class spend the year working through 'Roots of Empathy'. To find out more about the schemes click on the pictures.